An Egyptian court on Saturday dropped its case against ousted president Hosni Mubarak on charges of ordering the killing of protesters during the 2011 revolt that removed him from power. About 800 people were estimated to have been killed as Mubarak’s security forces fought protesters prior to his resignation in February 2011. However, the charges against Mubarak only relate to the deaths of 239 protesters whose names were listed on court documents. Mubarak was initially convicted and sentenced to life in prison in 2012 for ordering the deaths of the protesters. That ruling was overturned on appeal and a retrial was ordered. The murder charges were made against Mubarak, his interior minister Habib el-Adly, and six top police officials who reported to el-Adly. The court also dropped the charges against El-Adly and his six aides. Mubarak’s lawyers argued he was unaware of the full extent of the protests or the violent crackdown against them. Since his initial sentencing, Mubarak has claimed to have suffered a series of health problems and has been wheeled in to many of his court appearances on a hospital bed. In addition to the murder charges, Mubarak and a former oil minister were cleared of graft charges related to gas exports to Israel. Corruption charges were also dropped against Mubarak’s sons. 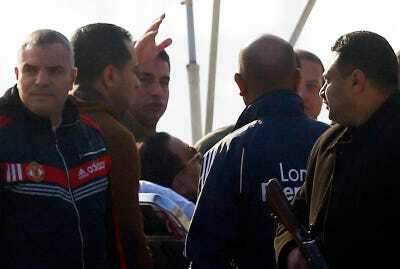 Businessman Hussein Salem, who was a longtime friend of the ex-Egyptian leader, was also cleared. According to the Independent, Judge Mahmoud al-Rashidi told the court on Saturday that the verdict did not mean there was no “corruption” and “weakness” during Mubarak’s rule. Al-Rashidi also praised the revolution that swept Mubarak from power. Mubarak is currently serving a separate three year sentence for stealing public funds during his nearly three decades in power.